Oh yeah. Don't knock it 'til you try it. You'll be surprised how delicious this smoothie is. 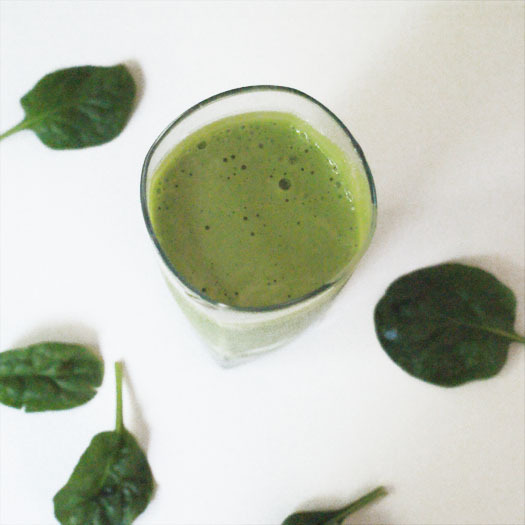 The spinach gives this pretty smoothie its green color, but doesn't overpower the sweet flavors of the fruit. 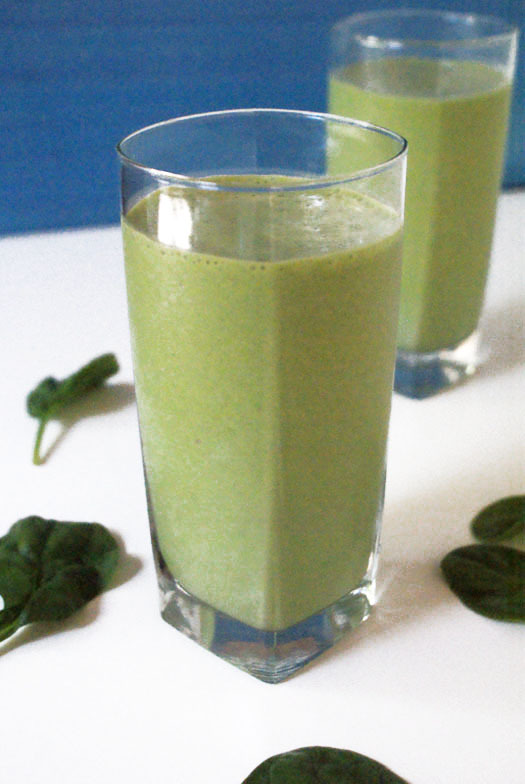 I'm all about more spinach in my diet, so this smoothie is perfect for me. Not to mention the protein! I've been doing quite a bit of strength training lately and protein helps muscles rebuild. Perfect post-workout treat right here. Want your kid to get more spinach, too? You're in luck! Not only are kids enthralled with the color of this smoothie (my four year old was pretty impressed), they dig the taste, too. Good thing this recipe makes two! 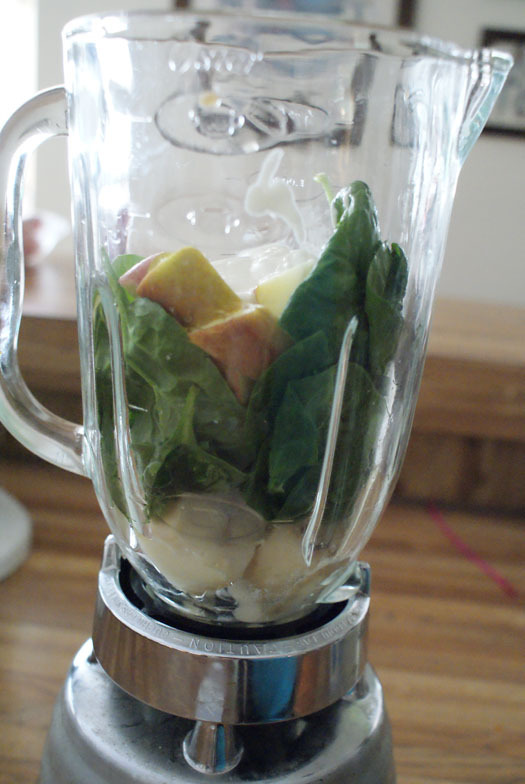 Place all ingredients in your blender. Blend until smooth and enjoy immediately!